From Jan. 13-15, 2019, The Specialty Food Association (SFA) hosted its 44th Winter Fancy in San Francisco, CA. The show saw thousands of food buyers and distributors, 1,400 exhibitors including 371 companies from California and international exhibitors from 30 nations attend, with more than 90,000 specialty food products on display. Major companies such as Amazon, Atlantis Casino Resort, Bi-Rite Markets, Central Market, Compass Group, Costco Wholesale, CVS Health, Delta Air Lines, Draeger’s, Harris Ranch, Hello Fresh, Hy-Vee, Kroger, Lolli & Pops, Mollie Stone’s Markets, Naturebox, PCC Community Markets, Rainbow Grocery Cooperative, Roche Bros, Sodexo, Target, The Fresh Market, Trader Joe’s, Virgin Hotels, Wal-Mart, Whole Foods Market, Williams Sonoma, and Woodlands Market were present. 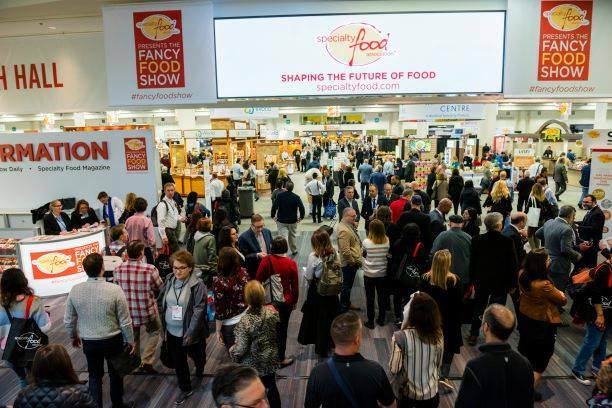 “The Specialty Food Association is committed to connecting the industry. This year’s Winter Fancy Food Show was the most successful to date. We are drawing senior level buyers and key influencers from across the food industry,” said Phil Kafarakis, SFA president. “At every Fancy Food Show, we offer education programs and SFA News Live programming, as well as access to incredible, innovative producers. We continue to add activities like our new Taste It Live stage for sampling and What’s Next in Food, giving people a real view of global food’s future. If you missed the show in January, we urge you to join us at our Summer Show in New York, June 23-25,” Kafarakis said. Attendees were treated to attractions such as the Incubator Village, which hosted seven incubators and featured 41 up-and-coming companies; What’s Next in Food, an interactive exhibit showcasing sustainability and biodiversity, and the SFA’s curated education sessions. The association will host the 2019 Summer Fancy Food Show in New York, NY from June 23-25.